The Experimental house is closed for winter, and will be opening again in June 2019. The house and area can only be accessed with a guided tour. 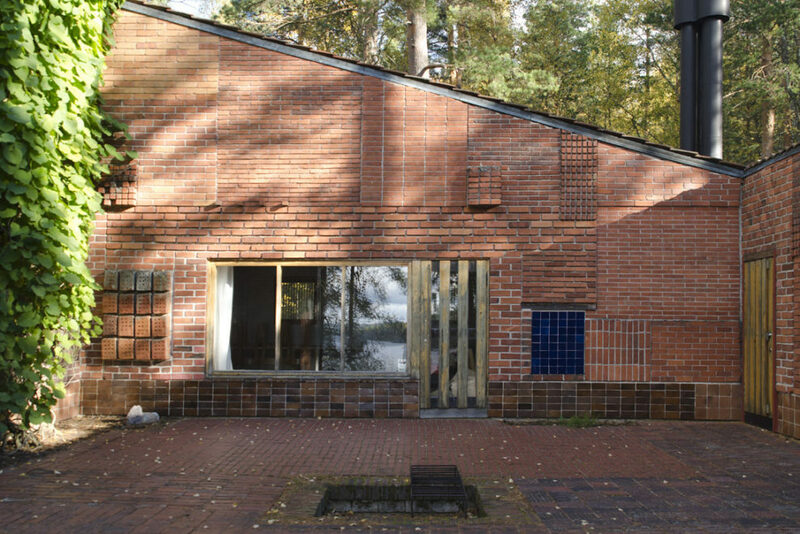 The Experimental house (1952-54) was Elissa and Alvar Aalto’s self-designed atelier and summer residence. It was inspired by the idea of an Ancient Roman atrium. The Experimental House is located in a beautiful spot on the rocky shore of Lake Päijänne, sheltered by the coastal forest. This is where Aalto had the freedom to experiment with different materials, forms, techniques and proportions. In addition to the actual residential building, the tour includes the smoke sauna and the boat that Aalto designed and named “Nemo Propheta in Patria”. The guided part of the tour takes about 45 minutes, followed by free time to walk around until 3 pm. Please note, that the Experimental house area is located inside a forest and the area is not wheelchair or baby stroller accessible. Guided tours can accommodate up to 20 people and are held in Finnish and English.